These owls are just too cute! The finished product is about 3 1/4" tall - perfect size for a pocket friend. Or slip him into his hollow tree for a nap. 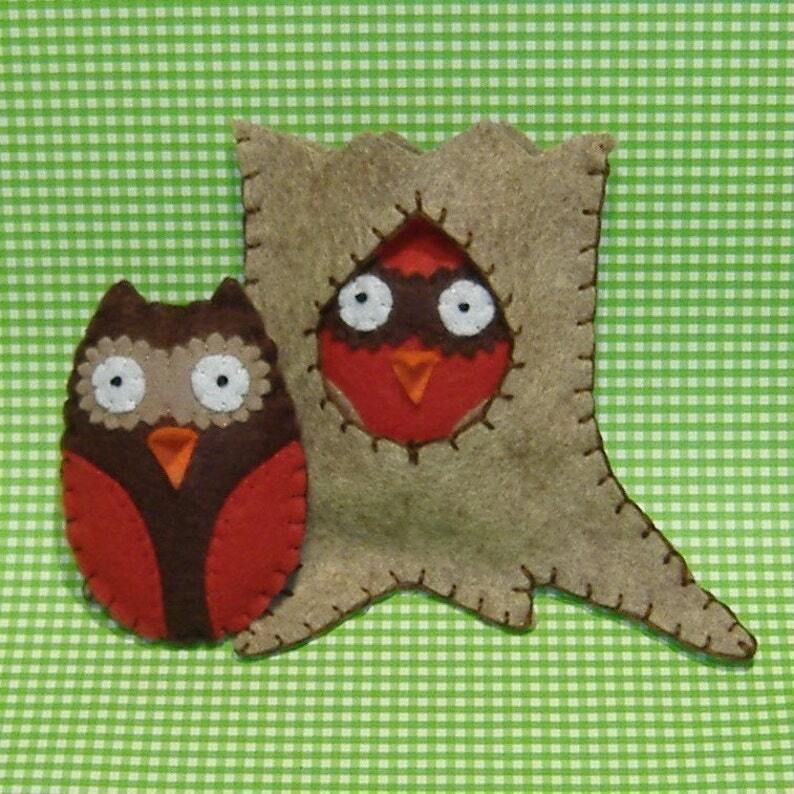 The pattern also includes an extra step to turn these big eyed cuties into ornaments.